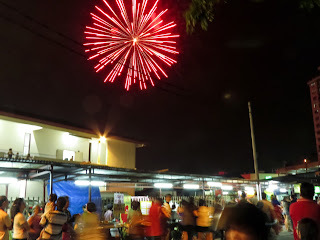 After the pole raising, the evening of the same day sees the invitation of the Nine Emperor Gods from the Ampang River. 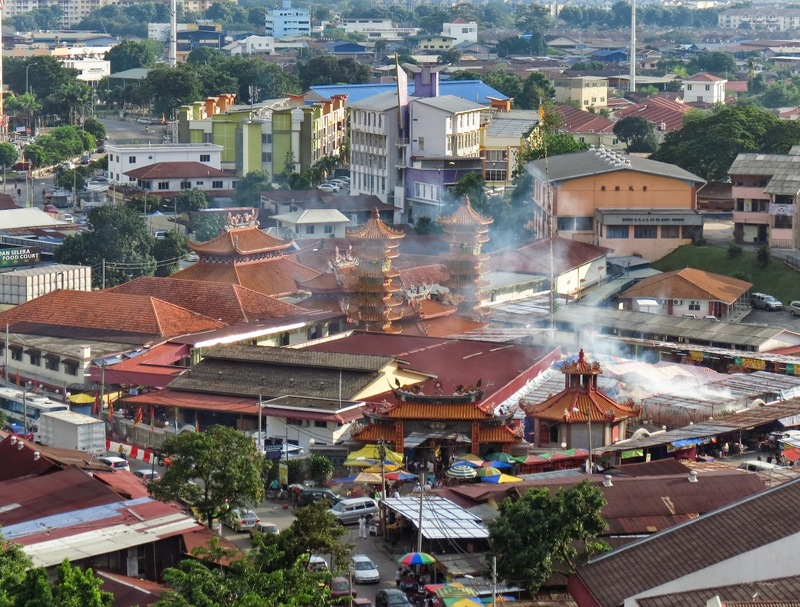 The ceremony at Ampang Nine Emperor Gods temple started around 6pm, with the dragon and lion dance troupes pay respects to the deities in the temple before queuing up for the procession. Smoke from the joss stick stand indicates that the invitation ceremony is about to start. This year the ceremony was a little less hectic as there were less people who came to this ceremony. Probably due to the fact that it falls on a Friday evening, where traffic is known to be bad, thus becoming a deterring factor to visitors who intend to catch this event. 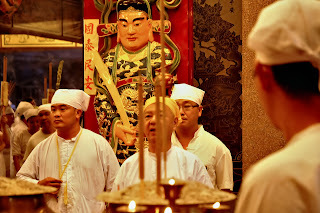 The priest and devotees go through the necessary rites before the invitation ceremony - photo by Bob Pike. As usual, the procession leaves the temple around 7.30pm led by the lion and dragon dance troupes, the royal sedan chairs/chariots with the royal umbrella and the urn being the last to leave the temple. 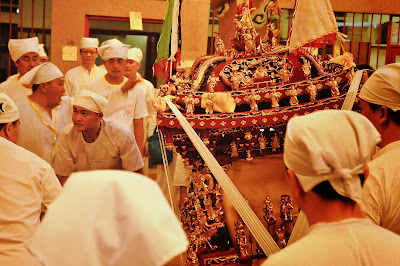 The sedan chair leaving the temple for the royal pickup - photo by Bob Pike. 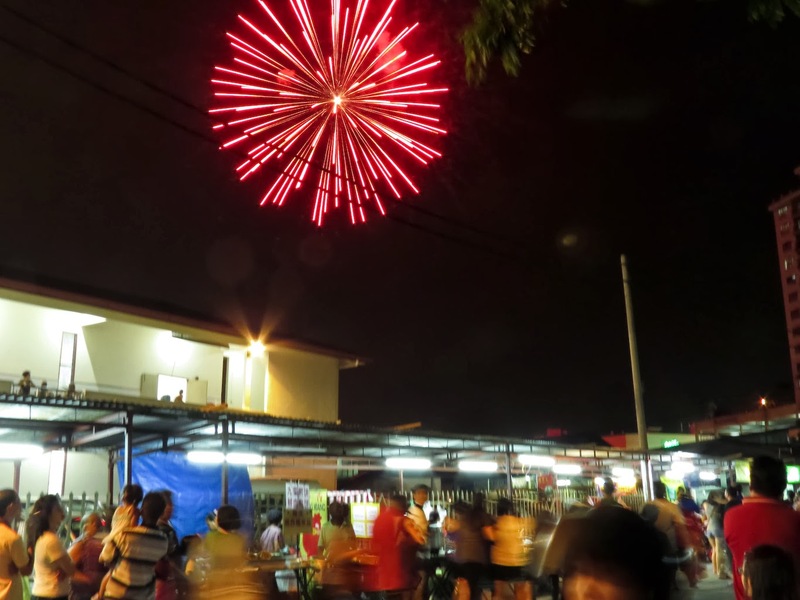 A volley of fireworks set off tells those waiting for the procession to return that the Emperors have been received and the entourage is on the way back. Due to time constraints, I will post subsequent days in groups of three, i.e. Day 1-3, Day 4-6, and Day 7-9. This is to allow me time to work on the time-lapse shots of the event. Also, I am also using photos taken by Bob as I cannot be covering two places at once when I am shooting time-lapse shots.